Five high school girls live together on a farm during the summer of 1943 as part of the Farm Services – doing the work of the men who are off fighting World War II. We follow the stories of Helene, who sends her wages home to support her single mother; Peggy, a flirt who is always ready to have fun – as long as no one discovers her secret; Binxie, whose rich family doesn’t approve of her being here; Isabel, who pines over her fiance who is fighting overseas; and Jean, whose family farm and friend, have been taken over by the “farmerettes”, as they became known. Friendship, romance, hardship, and heartbreak shape their summer, all against the backdrop of the Second World War. 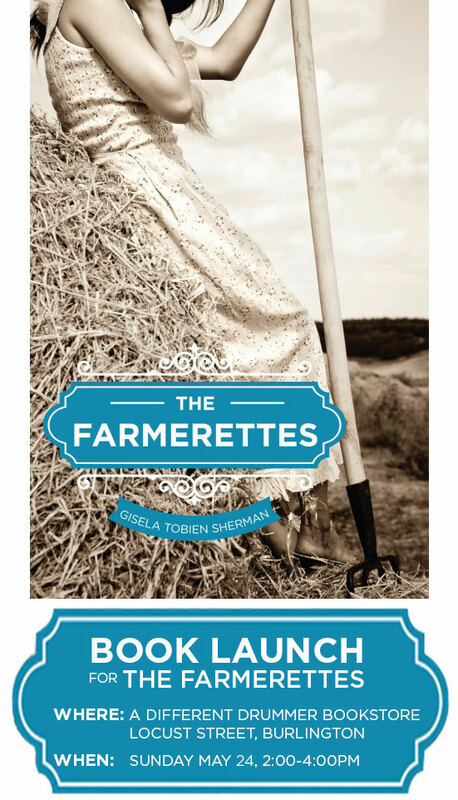 Readers looking for a meaningful dose of Canadiana will find it with The Farmerettes, the latest YA novel by Gisela Tobien Sherman. Set against the backdrop of the World War II, this coming-of-age story shines a quietly heroic light on the lives of six young women fresh out of high school, doing their part for the war effort on Highberry Farm in Winona, Ontario, during the summer of 1943. Working for the Farm Service Forces, the six (along with the other sixty-four young women also staying and helping on the farm) tend to the crops and livestock because most able-bodied men have gone overseas to fight in Europe or are working in local factories. There’s emotionally fragile Isabel, who’s pining for her fiancé Billy who has gone to war; wealthy Binxie, dealing with a family who’s disappointed with her employment choice; practical workhorse Jean, whose family owns Highberry Farm; Peggy, the farm flirt, chatterbox, and social convenor; cerebral Helene, whose wages help her single mother and younger brothers back home; and there’s the girl with the yellow scarf, simply referred to as “X,” who harbours a soul-crushing secret. Alternating between each character, this enlightening book adeptly weaves together vignettes of backbreaking farm work, budding romances, and family tragedies, with the simple pleasures of rural life, such as corn roasts and barn dances, glorious sunsets and bountiful harvests. Part history lesson, part eye-opening slice-of-life, The Farmerettes is a touching, well-paced story of girls bound together by a sense of civic duty and desperate circumstance that forever changed the definition of “women’s work.” Their journey to adulthood, brimming with lifelong memories of love, heartbreak, friendship, self-empowerment, and hope, will linger long after the last page is turned. This is a high interest book written for those who have some reading difficulties or are new to the English language, and still want a good story. Teacher and parent guides are available free. First it’s a feeling of being watched, bad rumours and creepy phone calls. Then it’s accusations about doing things she didn’t do. 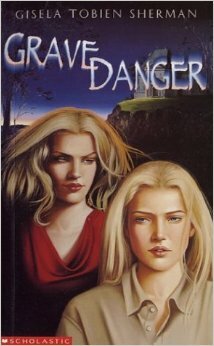 If Cassie doesn’t find out who – or what – is causing her troubles, and how to stop them, her sixteenth birthday could be her last. 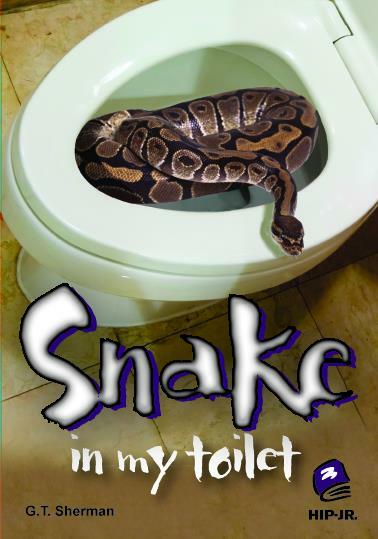 THERE’S A SNAKE IN THE TOILET – Pocket Books, NY. Ten year old Ollie Sullivan is having a rough time. The kids at school think he’s a wimp, the local bully is after him, his dad has left the family – and he has been suspended from school for ‘attacking’ a teacher. 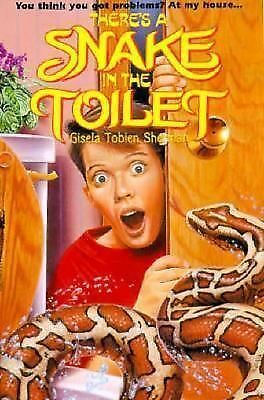 Then a boa constrictor pops up in his toilet. Amidst hysterical neighbours and a media frenzy, Ollie must face the snake, the bully, and his fears when they all end up locked in a dark storage room. Eight year old Jonah is sick of being second-best. He wants his class to think he’s number one, instead of that new kid Rene. Not only has Rene moved into the house where Jonah’s best friend used to live before he moved away, but he brings such interesting things to class that everyone wants to be with him. Jonah comes up with a great plan. 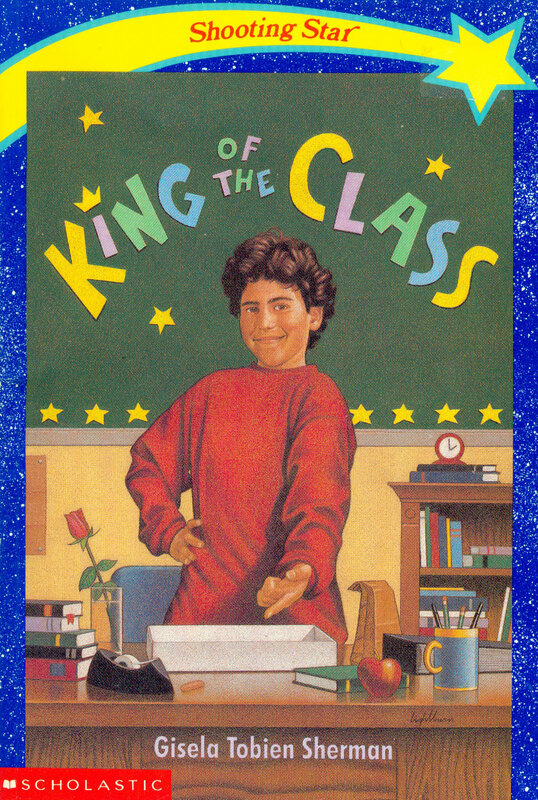 Surely this will make him the King of the Class.